Poland covers an area of 312,685 square kilometres and is the ninth biggest country in Europe. It borders the Baltic Sea and seven countries, namely the Baltic Sea (528km), Belarus (416km), Czech Republic (790km), Germany (467km), Lithuania (103km), the Russian exclave of Kaliningrad (210km),Slovakia (539km) and, Ukraine (529km). 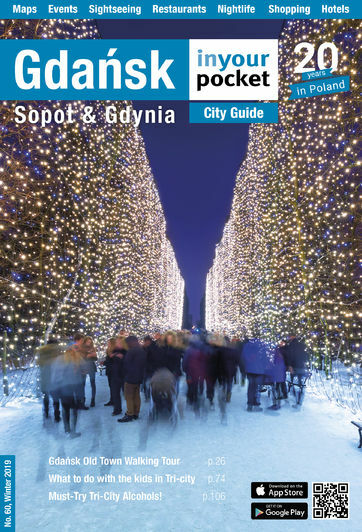 In general Sopot is safer than most cities. Petty crime does exist, and travellers should be on guard against pickpockets. If you’re out keep your wallet inside your pocket, not inside a jacket casually lying around. Those travelling by car are advised to use a guarded car park. Avoid being ripped off by opportunistic taxi gits by using clearly marked cabs. ​Currency can be exchanged at airports, hotels, banks and anywhere with a sign proclaiming it to be a Kantor and you will also be able to withdraw currency at a bankomat using your ATM card. A Kantor will often provide better value than the banks in your home country or the ATM although for obvious reasons be very wary of Kantors in the airports, bus stations and close to tourist sights. Shopping around will reward you with the best rate.